Ulrich Boser is an award-winning reporter and author of The Gardner Heist: The True Story of the World's Largest Unsolved Art Theft (Collins). His work has appeared in the New York Times, the Washington Post, and Smithsonian magazine, and he has been a contributing editor at US News and World Report. The founding editor of Open Case, a crime magazine and web community, Boser writes feature stories and investigative articles about culture, politics, and social issues. He has served as a commentator for CNN, FOX News, National Public Radio, MSNBC, and the New York Times and has given talks at a variety of institutions from Boston University to the US Chamber of Commerce to the California State Legislature. Boser's book, The Gardner Heist, about the Isabella Stewart Gardner art heist, the largest unsolved art theft in history, has received glowing reviews. "Boser has produced a captivating portrait of the world's biggest unsolved art theft," noted the Wall Street Journal. "Boser cracks the cold case of the art world's greatest unsolved mystery," said Vanity Fair. The book became a national best-seller and spent more than five weeks on the Boston Globe best-seller list. Boser's work has received various awards and citations. His reporting has been profiled in the New York Times, and Washingtonian magazine recently called him "a writer to watch." 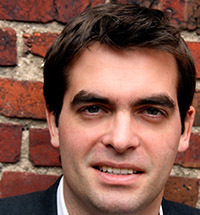 He has also been an Arthur F. Burns fellow, won the National Award for Education Reporting, and served as the associate editor for the best-selling reference book US News Ultimate College Guide to Colleges. Boser graduated with honors from Dartmouth College and lives in Washington, D.C. with his wife and two children. "Your Presentation was wonderful. Thank you again!" "Such a successful night. Your talk was so encouraging and it was clear that the audience truly enjoyed themselves." "He was a terrific presenter. The event went on & on with questions. The crowd loved this guy." "Ulrich Boser is a gifted storyteller and draws the audience into the unresolved mystery of the Isabella Stuart Gardner Museum art heist." "Boser cracks the cold case of the art world's greatest unsolved mystery." 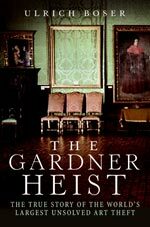 "In The Gardner Heist, author Ulrich Boser offers a tantalizing whodunit as he embarks on an exhaustive search for the stolen masterpieces." "Boser has produced a captivating portrait of the world's biggest unsolved art theft." "A vivid portrait of the high-stakes world of art crime." "Boser's book on it has the feel of a speedy ride down a mountain road spiked with hairpin turns. Boser deftly steers readers through a cast of characters ranging from the highest of brow (museum curators and art experts) to the lowest imaginable (thuggish, bottom-feeding gangsters) as he labors hard to drive toward some sort of resolution." "This riveting, wonderfully vivid account takes you into the underworld of obsessed art detectives, con men, and thieves, tantalizing leads, and dead ends." "A fascinating, well-researched investigation...[a] police-eye-view of an unsolved crime-the solution for which may be just around the corner." "Boser's carefully researched and brilliantly written book of the 20th century's greatest art heist is too stunningly fascinating to miss." "The book is a thrill." "Boser's rousing account of his years spent collecting clues large and small is entertaining enough to make readers almost forget that, after 18 years, the paintings still have not been found." "Boser poetically contrasts the burning, almost unnatural desire art lovers feel for paintings with the cold reality that art theft is one of the easiest and most lucrative types of crime."